If you are planning to visit Denmark and/or conduct business there, this guide will help you crack the cultural code and shorten the adjustment period as much as possible. 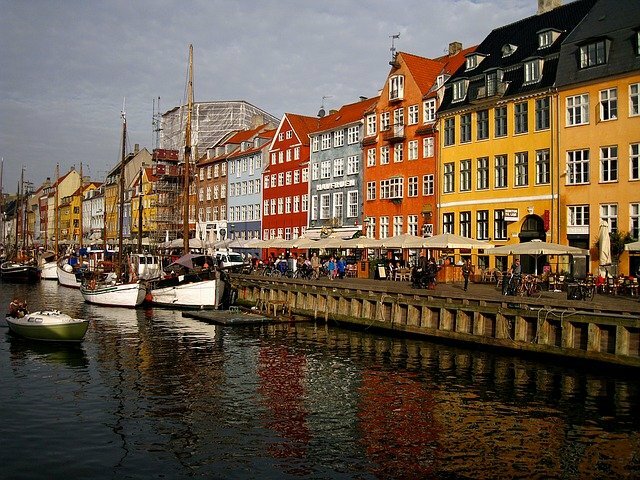 Located in Northern Europe and generally regarded as a part of the Scandinavian cultural space, Denmark is a unique country in too many ways to count. It’s not a large country, but it commands a lot of respect on the continent due to its strong economy, advanced legal system and very good record in terms of respect for rights of its own citizens and foreigners alike. Its geographic position in the heart of Europe contributes to its political relevance and status as a trading hub, while their society owes a lot to Danish history (Danes are descended from Vikings) and to influences coming from Germany, Netherlands and other nearby states. As you probably already know, Denmark is a maritime country, with a very long coast that touches on the North Sea and the Baltic Sea, as well as the straits that connect these two large bodies of water. 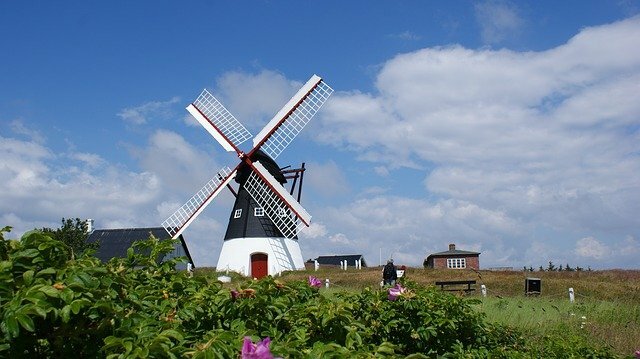 In fact, its territory consists of a mainland peninsula known as Jutland and more than 440 named islands, 74 of which are inhabited. The capital city (Copenhagen) is located on the largest of these islands, Zealand, although many of the islands are connected to other land masses by bridges and ferries. This setup is responsible for amazing natural beauty that strikes you from the moment you see this land, giving Denmark its distinct identity. Always dependent on seafaring for commerce and connections with the rest of the world, Denmark has developed into a cosmopolitan cultural space that treats all visitors with respect. Considering Denmark’s location in Northern Europe, you might expect a very cold country, but that’s actually not the case apart from during the winter months. The climate is humid and temperate, with cool summers that still allow you to enjoy outdoors, while winters are relatively mild in comparison with the rest of Scandinavia. Mean temperature in August is 17.9° C and 1.5° C in January, with an average of 179 days with at least some rain or snow. Foreigners are sometimes surprised at how quickly the weather can change – having so much coastline means that storms can appear without warning. All that wind and heavy precipitation may present a bit of a challenge early on if you are used to warmer climates, but people born in the continental zone or northern latitudes won’t find it unpleasant at all. The first feature that strikes you when you come to Denmark is its flat terrain. Both the mainland portion and the islands are lacking any prominent mountains or even large hills – the highest point of elevation is just 171 meters above sea level and average elevation measures a modest 31 meters. That also means that few obstacles exist to shield you from the wind, which can be a serious issue when it’s cold outside. Another interesting fact about Denmark is that all of the largest cities are situated on different landmasses, with Copenhagen sitting on Zealand, Aarhus located in the continental part, and Odense on the island of Funen. If we are talking about islands, we should also mention Greenland (the largest island in the world) and the Faroe islands, distant territories that are officially a part of Denmark. In other words, you’d have to endure a lot of sailing if you wanted to tour the entire country during your stay. The vast majority (87.7%) of Denmark’s population consists of Scandinavians, with several ethnic minorities making up the rest, including Germans, Turks, Inuits, Faroese and Somalis. Increasing number of immigrants from other EU countries have been settling here in recent years, bringing a bit more diversity into a generally quite homogenous society. In terms of religion, Evangelical Lutheran faith is followed by around 95% of the population, with another 3% of Protestants of other denominations and 2% of Muslims. That’s far more homogenous than most highly developed countries, so it’s fair to say that Danish society lacks the level of ethnic and racial diversity that you might see in similarly located countries such as France, Netherlands or Britain. In terms of income, Denmark is a place when almost everyone is well-off. The economy is ranked 18th in the world by GDP per capita and is described as 8th most competitive in Europe, which has been a key immigration factor in recent years, drawing well-educated workers to the country. This prosperity doesn’t come at the expense of the poor, since only a tiny percentage of residents are under the poverty line thanks to very generous social programs that include the highest minimum wage in the world at $18 per hour. 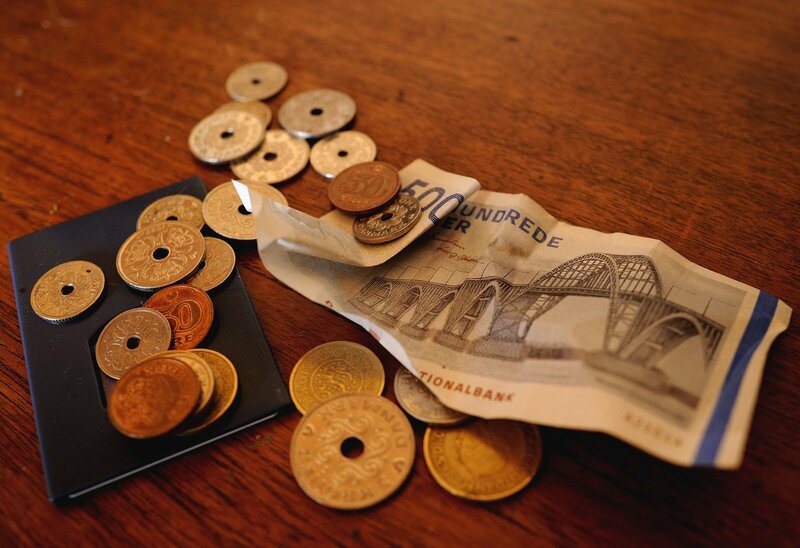 One important catch that many first-time visitors are unaware of is that, contrary to most other EU members, Denmark uses its own currency (krone, typically abbreviated to DKK) that trades at approximately 7.5 DKK for 1 Euro. The first thing you need to learn about Danish people is their tendency to do things the right way and expect others to do the same. Local society is predicated on mutual respect and display of basic decency, so you should avoid being rude or inconsiderate towards people you meet anywhere, even if you don’t know them. While the country is doing quite well economically, Danes loath public flaunting of wealth and will consider it a display of poor manners if you are demonstrating your success too openly, either verbally or through your appearance and behaviour. This fits into the profile of the Scandinavian culture, which is less focused on material values and places an emphasis on personal qualities. Many people think Danes are cold and reserved, but this is not actually true – they are simply a bit careful when making friends and prefer to take their time to estimate who they are dealing with rather than rushing to conclusions based on insufficient information. You probably shouldn’t expect too much intimacy from someone you just met, but Danish people are very empathetic and if they really like you they will accept you for what you are. Patience is a virtue that will help you immensely if you are trying to adjust to the local mentality, especially if you want to get into deeper relationships, either private or professional. On the other hand, prejudice based on race or religion is close to non-existent (at least among the better educated, urban population), so you shouldn’t fear any social obstacles that might render you a permanent outsider. It all comes down to mutual respect – if you can demonstrate a commitment to understand and observe Danish customs, you will most likely be treated cordially by your hosts. No matter how tolerant Danish people may be when it comes to other cultures, they insist on etiquette of a certain kind from their foreign friends and associates. Your public behaviour will be closely watched and it isn’t beyond the realm of possibility that you might receive a lecture if you fail to observe proper form. You should almost always avoid being too loud or boisterous, since this runs contrary to Danish instincts and might be seen as self-serving disturbance. Being punctual is also of crucial importance, since Danes are rarely late and consider tardiness a waste of the other person’s time. When attending a meeting or a social occasion, you should always greet all of your hosts individually, shaking their hands firmly and cordially while maintaining safe physical distance. If you can manage to introduce yourself in the Danish language or at least demonstrate command of a few words, it might help to break the ice and push the conversation in a more leisurely direction. Small gifts are OK when the circumstances call for it, just don’t go overboard and try to impress with something flashy if you are not already very close with the recipient. As a European country deeply integrated into the EU, Denmark has a very safe and stimulating business climate, which is motivating many foreign companies and investors to consider entering the local market. Many people also try to find jobs with Danish companies, attracted by excellent salaries even by European standards and a variety of benefits guaranteed by the government. As a result, the pool of foreign workers residing in Denmark is constantly expanding, while the workforce is gradually becoming more diverse and multicultural. While Danes are well-known for their open-minded approach to cultural differences, it will be expected of you to follow their codes of acceptable behaviour if you wish to engage in business in the country. First of all, it is absolutely imperative that you avoid illegal or semi-legal actions, since local businessmen are very strict about following regulations to the letter. For a Danish person, evading taxes means stealing from the Danish people and harming society at large. Additionally, environmental laws are very closely enforced and viewed as essential, which may come as a surprise to professionals arriving from less well-regulated jurisdictions. Thus, some practices that might be acceptable in other countries are frowned upon here, necessitating a good deal of research into the particulars before you embark on your trip. One way to explain Denmark is to say that visitors generally feel welcome as soon as they step inside the borders of the Nordic country, but only those who spend many years living alongside Danes can truly say they belong there. An air of tolerance and benevolence is noticeable right away, which significantly helps with the transition, while the country is extremely well-organised and you won’t have any trouble settling any practical matters soon after arrival. This holds true even if you don’t speak the language, since the majority of people you meet will be fluent in English and very possibly German as well. To go deeper, you might need to re-calibrate your sensibility in a way that’s difficult to define. Danes have a peculiar sense of humour that can sound confusing or even plain morbid to an untrained ear, even if there is nothing sinister behind it. That’s quite a contrast to the politeness that you witness at every step, and could take you by surprise if you are not prepared. In fact, direct and blunt comments coming from your Danish friends are a sign that they are warming up to your presence and letting you see the hidden side of their personalities without bothering to soften the rough edges. We’re here to help with any Danish translation needs you have, be it legal, official or even business related. Kwintessential also has experienced German translators if needed when visiting Denmark. Contact us for more details today.